AFRICAN AMERICAN REPORTS: Bernie Sanders Supporters and the things they say/post to turn off black voters. Bernie Sanders Supporters and the things they say/post to turn off black voters. There's been a lot of rhetoric recently posted online and in the media from Bernie Sanders' supporters and Republicans questioning those African Americans that choose to support Hillary Clinton. Now I could care less about the Republicans because they want Bernie to win as they feel he would be easier to beat than Clinton. They will do or say anything to keep her from getting the nomination. As for the Sanders' supporters I attribute some of the comments to many of Bernie Sanders fans being young, new to politics, being very supportive of their chosen candidate, and idealistic as we all were at one point. That being said, many mean well but there is a strain of "You don't know what's best for you." that is coming out in comments from Bernie supporters that makes many older African American voters angry/nervous. When trying to convince others to support Sanders, his supporters say some things that maybe they don't know turn off black voters. Cause I'm a good guy here are a few things that Sanders' supporters might want to avoid saying or posting online to avoid that happening. Don't say to them that you don't understand how black voters can support Hillary Clinton over Bernie Sanders. This comment is even worse if you are not black and have not gone through what many African Americans, especially older African-Americans have experienced in their lives. You may not catch any flak at the time, but you have just turned a voter off to Sanders. Don't constantly attack Hillary Clinton on issues pertaining to the black community or her trustworthiness either. On black issues whether she has been right or in some cases wrong, she has the perception that she has been there with black voters since her time as First Lady. Now, as far as attacking her trustworthiness or any other aspect of her character. 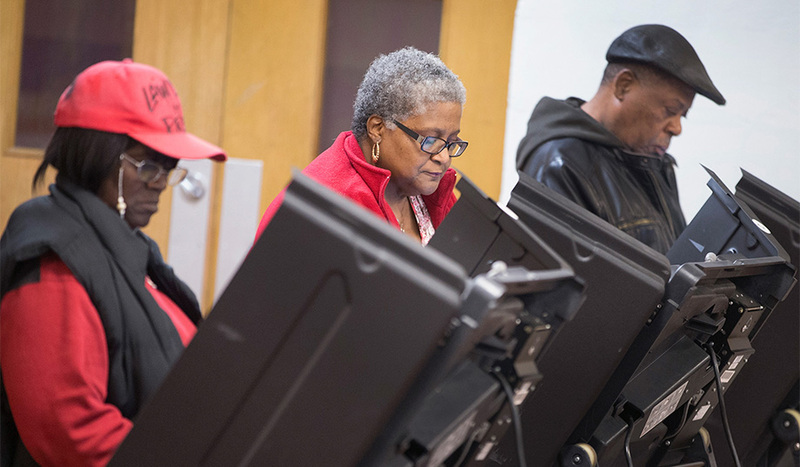 Keep in mind that black voters, especially older voters are wary of someone who can tell you what they are against better than they can tell you what they are for. Don't say "If they only read Sander's platform they would change their minds." That's making an assumption that people haven't read it or that if they did that they would love it. Many have read it, and many regular black voters are skeptical as well as practical, they wonder how some of Sander's programs could even be implemented let alone sustained. Many black voters wonder how someone who has held elected office since 1981 and been in congress since 1991 is somehow an "outsider". There's concern about the Obama Legacy under a Bernie Sanders, especially when it comes to Obamacare. Don't question someone else's blackness. You know who you are and this one should be self explanatory! Lastly, don't think everyone sees what you see or thinks what you think. Respect the views of others and agree to disagree.